To indicate the clinical course and results of brucellosis in our region during the recent years, and to compare these findings to the literature. Materials and methods: This study was based on a review of the medical records of adult patients older than 14 years who were followed with the diagnosis of brucellosis from March 1997 to October 2010. Results: Included in this analysis were 317 patients, including 136 males (43%), with an average age of 40 ± 17 years. In 66 patients (21%), reproduction of Brucella was identified in the blood. Of the patients, 61% were identified as having the acute form, 35% the subacute form, and 4% the chronic form. Arthralgia, fever, weight loss, sacroiliitis, and spondylitis were the most frequent symptoms and findings accompanying the disease. There was a significant relationship between advanced age and the development of both spondylitis and arthritis (P = 0.000 and P = 0.028, respectively). Furthermore, there was a significant relationship between a high erythrocyte sedimentation rate and the presence of spondylitis, sacroiliitis, and visceral abscesses (P = 0.001, P = 0.013, and P = 0.049, respectively). Conclusion: This study provides a review of the disease and its complications. Osteoarticular involvement, and particularly the presence of spondylitis in patients and the complications in elderly patients, should be studied. Laboratory parameters, the patient&apos;s age, and the duration of symptoms may help to identify complicated cases. Gür A, Geyik MF, Dikici B, Nas K, Çevik R, Saraç J et al. of 283 cases in Southeastern Anatolia of Turkey. Yonsei Med J 2003; 44: 33-44. Aygen B, Doğanay M, Sümerkan B, Yildiz O, Kayabaş Ü. Clinical manifestations, complications and treatment of brucellosis: a retrospective evaluation of 480 patients. Med Mal Infect 2002; 32: 485-93. Savas L, Onlen Y, Savas N, Yapar AF, Aydin M, Onder T. Prospective evaluation of 140 patients with brucellosis in the southern region of Turkey. Infect Dis Clin Pract 2007; 15: 83-8. Demiroğlu YZ, Turunç T, Alışkan H, Çolakoğlu S, Arslan H. Brucellosis: retrospective evaluation of the clinical, laboratory and epidemiological features in 151 cases. Mikrobiyol Bül 2007; 41: 517-27. Akdeniz H, Irmak H, Demiroz AP. Evaluation of brucellosis cases in Van region of Eastern Anatolia: a 3-year experience. Nagoya Med J 1998; 42: 101-10. Kokoglu OF, Hosoglu S, Geyik MF, Ayaz C, Akalın S, Buyukbese MA et al. Clinical and laboratory features of brucellosis in two university hospitals in southeast Turkey. Trop Doct 2006; 36: 49-51. Lulu AR, Araj GF, Khateeb MI, Mustafa MY, Yusuf AR, Fenech FF. Human brucellosis in Kuwait: a prospective study of 400 cases. Q J Med 1988; 66: 39-54. Mantur BG, Biradar MS, Bidri RC, Mulimani MS, Veerappa, Kariholu P et al. Protean clinical manifestations and diagnostic challenges of human brucellosis in adults: 16 years’ experience in an endemic area. J Med Microbiol 2006; 55: 897-903. Buzgan T, Karahocagil MK, Irmak H, Baran AI, Karsen H, Evirgen O et al. Clinical manifestations and complications in 1028 cases of brucellosis: a retrospective evaluation and review of the literature. International Journal of Infectious Diseases 2010; 14: 469-78. Kurtaran B, Tunay S, Tasova Y, Candevir A, Saltoglu N, Inal AS et al. Brucellar and tuberculous spondylitis in 87 adult patients: a descriptive and comparative case series. Infect Dis Clin Practice 2008; 16: 166-73. Cordero M, Sanchez Y. Brucellar and tuberculous spondylitis: a comparative study of their clinical features. J Bone Joint Surg Br 1991; 73: 100-3. Colmenero JD, Jimenez-Mejias ME, Sanchez-Lora FJ, Reguera JM, Palomino-Nicás J, Martos F et al. Pyogenic, tuberculous, and brucellar vertebral osteomyelitis: a descriptive and comparative study of 219 cases. Ann Rheum Dis 1997; 56: 709- 15. Colmonero JD, Reguera JM, Fernandez-Nebro A, Cabrera- Franquelo F. Osteoarticular complications of brucellosis. Ann Rheum Dis 1991; 50: 23-6. Gotuzzo E, Alarcon GS, Bocanegra TS, Carrillo C, Guerra JC, Rolando I et al. Articular involvement in human brucellosis: a prospective analysis of 304 cases. Semin Arthritis Rheum 1982; 12: 245-55. ISNAD KURTARAN, Behice , CANDEVİR, Aslıhan , İNAL, Ayşe Seza , KÖMÜR, Süheyla , AKYILDIZ, Özay , SALTOĞLU, Neşe , AKSU, Hasan Salih Zeki , TAŞOVA, Yeşim . "Clinical appearance of brucellosis in adults: fourteen years of experience". 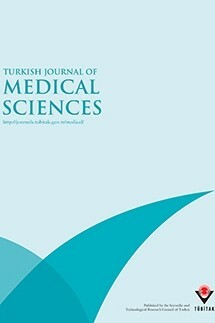 Turkish Journal of Medical Sciences 42 / 3 (March 2012): 497-505.